Fall is perfect time of year to take a closer look at leaves! 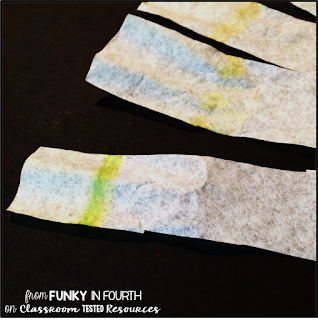 I love teaching about leaves, photosynthesis, and chlorophyll! Students actually love learning about it all too. 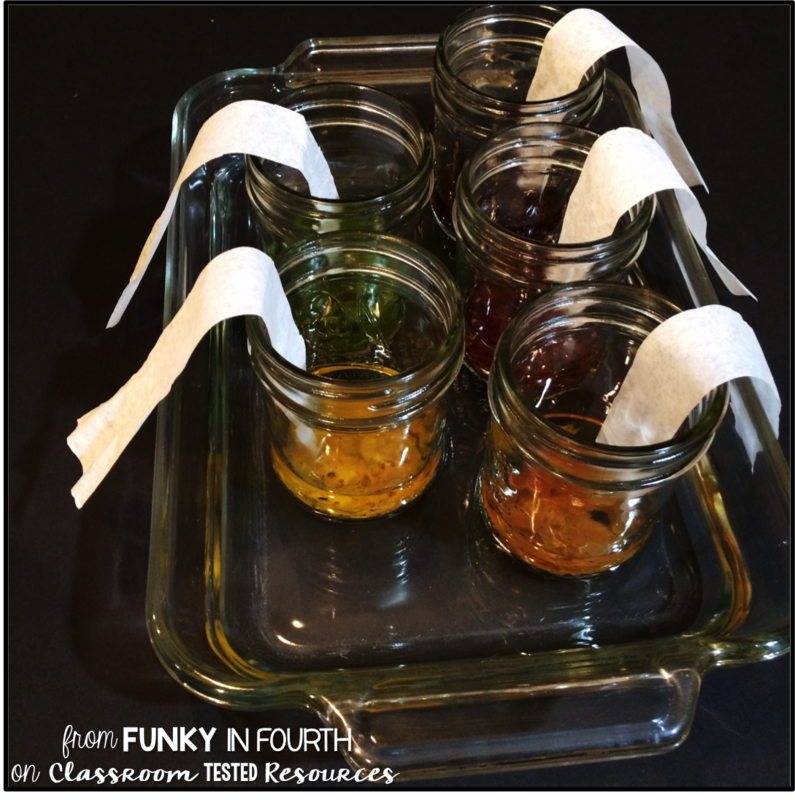 This is a simple lab that you can complete as a whole class to take a closer look at the pigments in leaves (believe it or not, they all have the same pigments)! First, you will want to collect a variety of leaves to use. 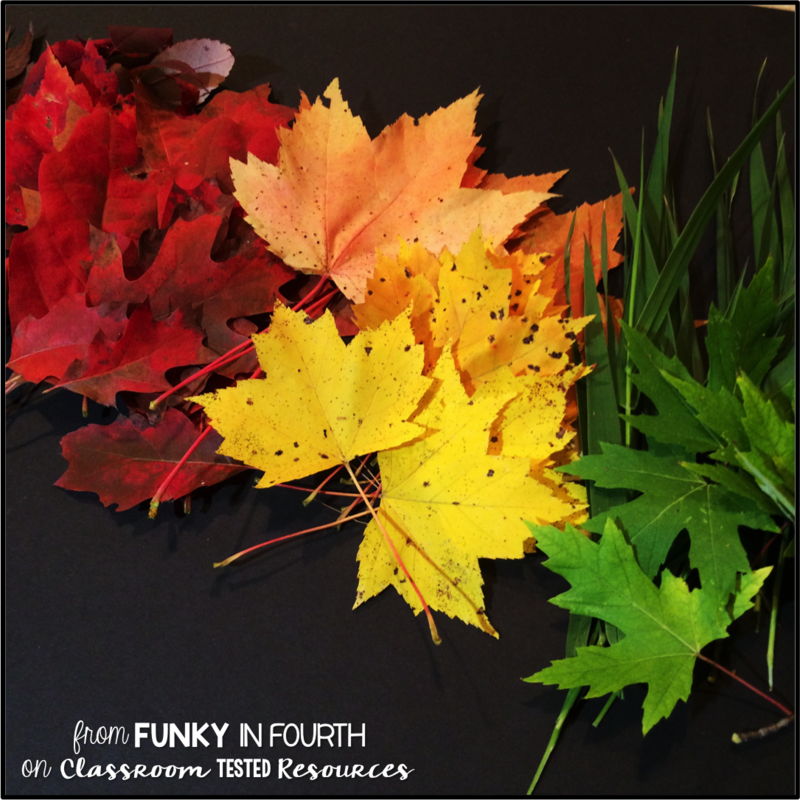 You can use any type of leaf but you will want a variety of colors. Sort the leaves out into different color piles. It is hard to see but I have 5 color groups (dark red/purple, red, orange, yellow and green). 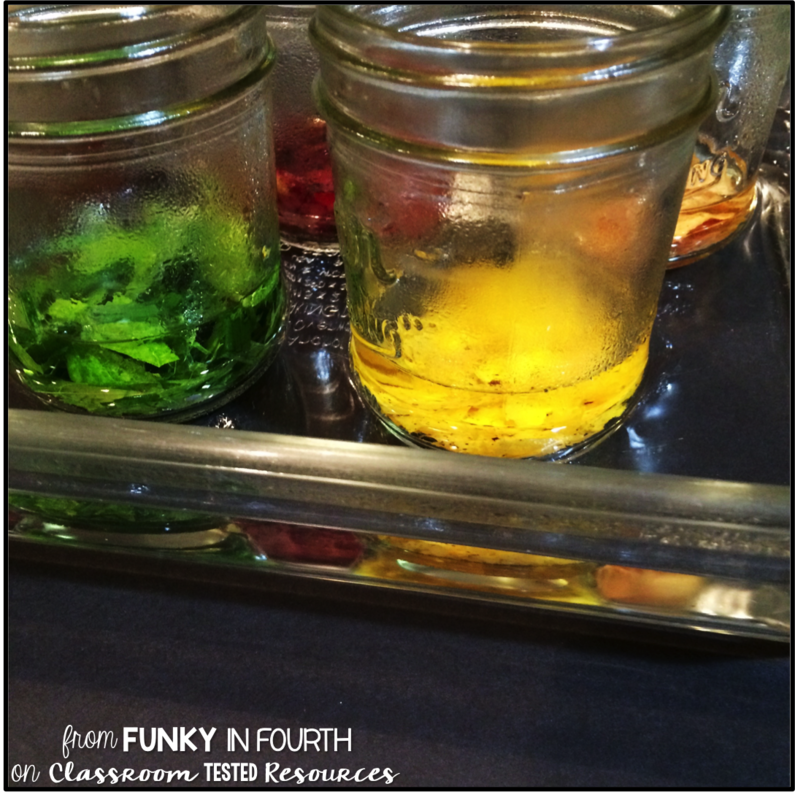 You will also need small mason jars for each of the leave colors (I used pint sized jars). A bottle of rubbing alcohol, coffee filters, and a large glass container are also needed. 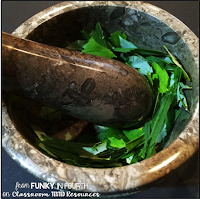 If you have a mortar and pestle, use it to crush the leaves up until the moisture from the leaves is visible. 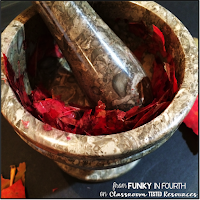 If you don't have a mortar and pestle you can use a spoon and a glass/bowl to crush the leaves. 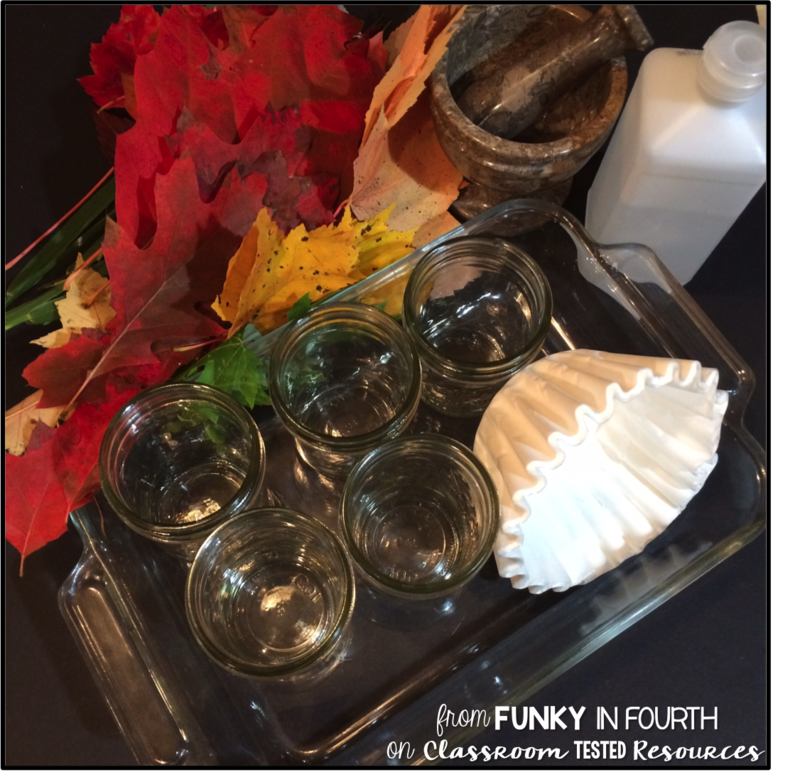 After the leaves are crushed up, place them into the mason jar. Then pour rubbing alcohol into the jars so that the crushed leaves are completely covered. Place the jars into a large glass cake pan. Pour boiling water into the cake pan so that the jars have about an inch of hot water around them. This will warm up the alcohol which will help draw the pigments out of the leaves. Let the leaves sit for about 30 minutes in the alcohol. 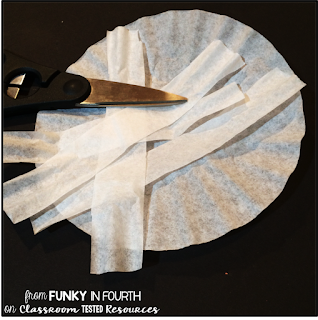 Cut strips from the coffee filters that measure about 1" x 5". You will need one strip for each leaf color. After that 30 minute wait time, you should see the pigments of the leaves in the rubbing alcohol. Place the strips into the jars so that the other end is hanging outside of the cake pan. (Be careful not to get the other end wet. Let them sit for at least an hour. 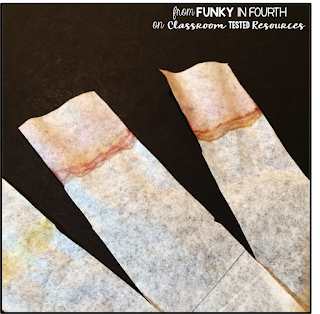 You will see the pigments slowly rise up the coffee filter paper. 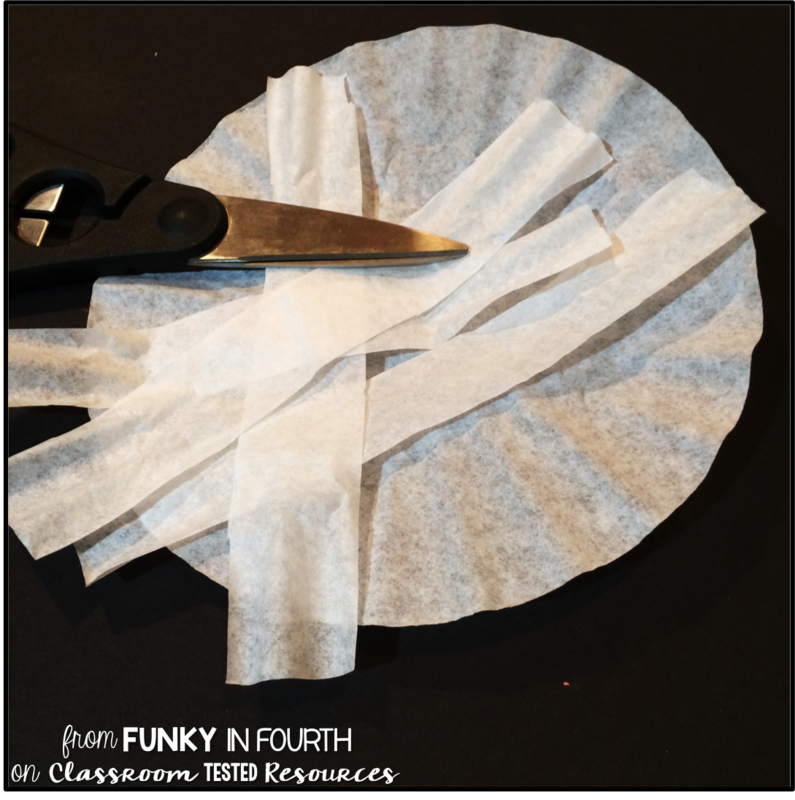 Here are a few pictures of the filter papers after. You can see that the red and the dark red/purple had the most dramatic pigment bands. Plants use the process of photosynthesis to convert light energy into food energy. They absorb the sunlight using pigments in their leaves. The main pigment that leaves use is chlorophyll. The chlorophyll could either be chlorophyll a (bluish-green) or chlorophyll b (yellowish-green). During the growing season, leaves contain more chlorophyll. This is why most leaves appear green. 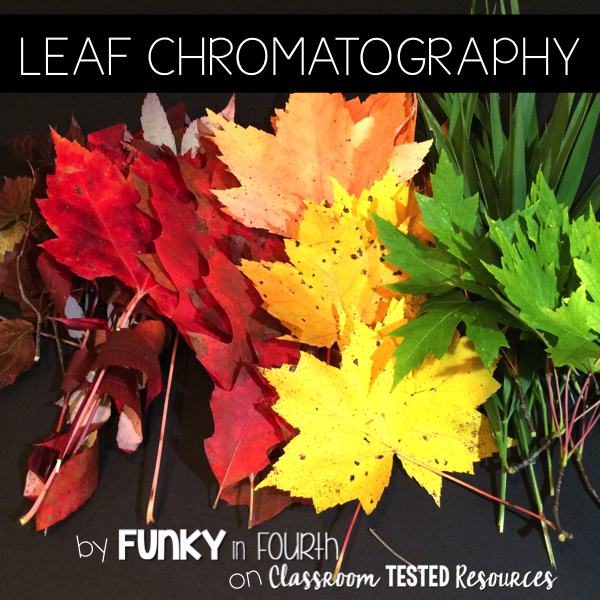 There are other pigments in the leaves but chlorophyll is the most dominate. 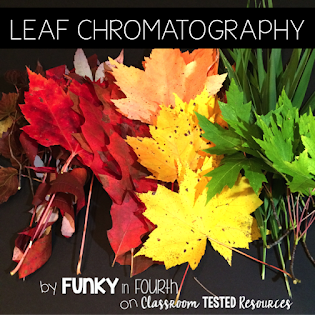 The other pigments in leaves start to appear in the fall when chlorophyll starts to break down. Other pigments could be xanthophyll (yellow color), carotenoid (orange color) or anthocyanin (dark red/purple color). 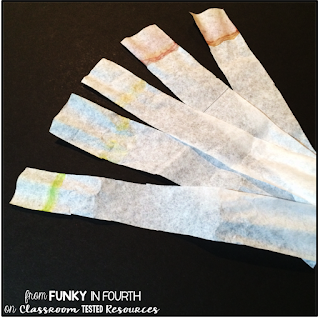 Are you looking for more to do with this science experiment or just leaves in general? 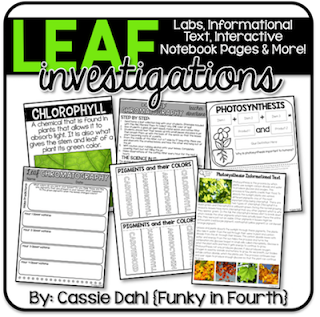 Check out this product at I have in my TpT store for all of your leaf investigations!